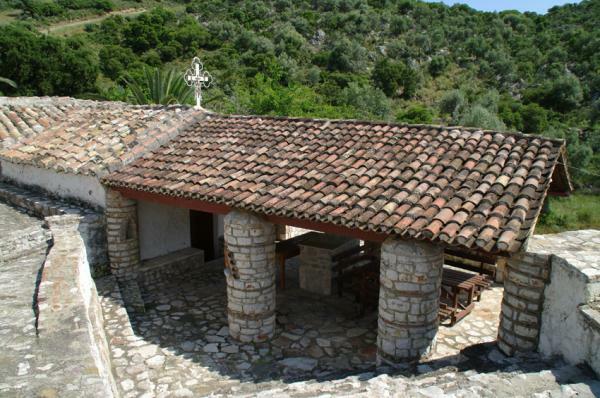 On the south of Asini is the Monastery’s Catholicon, (i.e. the major temple of a Monastery), dedicated to the Transfiguration of Christ. The temple is built 90 cm below the surface of the earth. The interior hagiographies (icons) date from the Post-Byzantine era; according to a dedicatory inscription, however, the temple was redecorated with hagiographies in 1570. Today, the monastery is private and can be visited. There’s a road that takes you up to a point and then you have to walk a small alley to get to the monastery.